Most days you'll find Brenton Netz under the hood of a car behind his St. Cloud home. Netz is a burly fellow, with the greasy hands of a backyard mechanic. 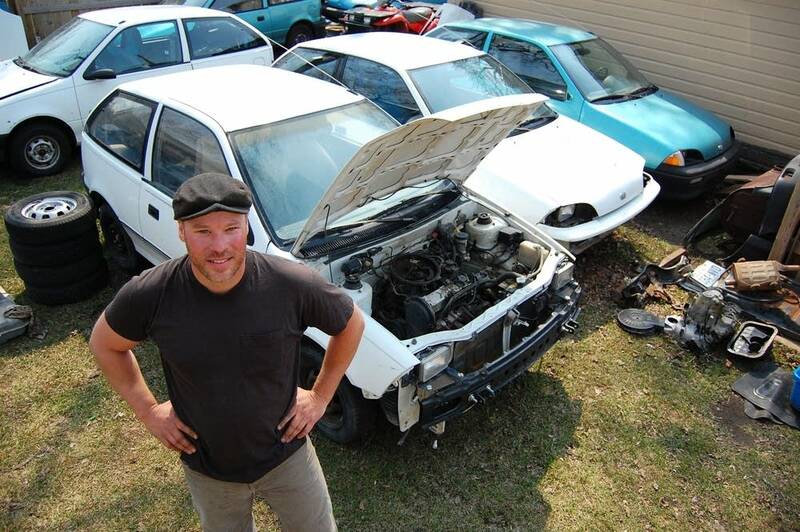 As he works to fix up a Geo Metro, it's obvious he has either an affinity or an obsession for the subcompact Chevy, especially when he counts the inventory of his fenced in backyard. "Let me count how many I have here," Netz said as he scanned his yard. "I have one, two, three, four, five, six, seven, eight, nine." There are two more cars, tiny Ford Festivas, parked out front. Netz is originally from California, and buys most of the cars during trips back to the West Coast. "I'll see them parked out on the street in Seattle, Portland, Sacramento, San Francisco. I'll knock on doors and I'll say 'Looks like your Metro hasn't moved in while. Do you want to sell it?' And surprisingly, more often then not they'll say 'Sure, it has this problem,' and they'll sell them to me," Netz said. Netz prefers the little Metros and Festivas because they're easy to fix up. He calls them gas mileage champs, especially the Geo Metro with its tiny one-liter, three-cylinder engine. 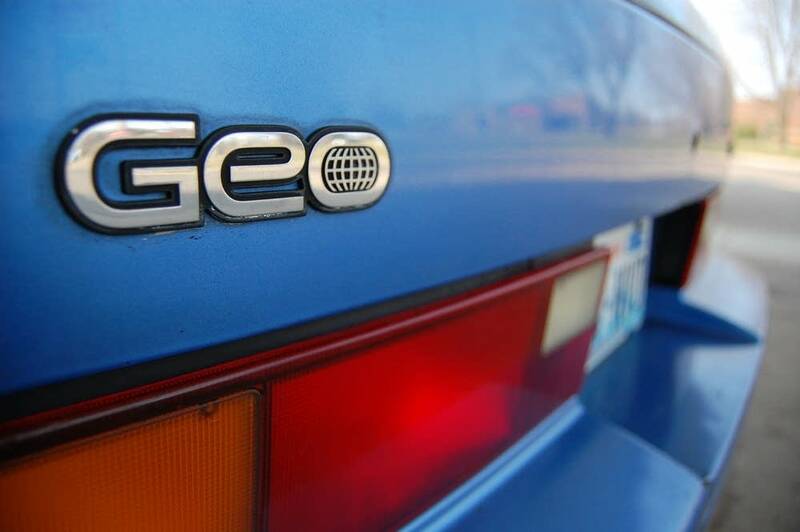 "I got 67 miles to the gallon with that one," Netz said pointing to a green Geo Metro. Netz isn't a collector. He buys the cars for a few hundred dollars and after some rehabilitation, he resells them eBay or Craigslist. They can fetch anywhere from a little over a thousand dollars, to several thousand dollars for some models. He's sold 10 in just over a year. 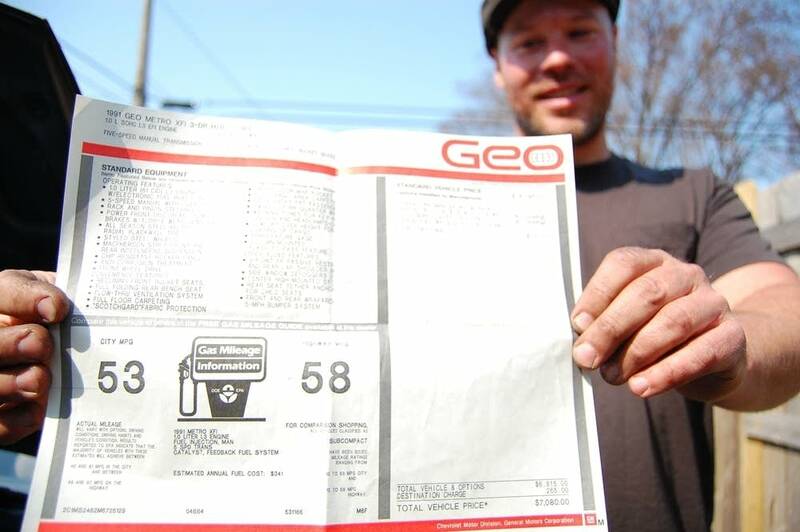 High fuel prices have a lot of people interested in the gas sipping subcompacts. "I have people come from all over the country. I pick them up at the airport, and drive them up here. They've come from Texas, Pennsylvania ... I sold a Ford Festiva to a guy in Chicago last weekend. He sent an email a couple of days ago saying he got 45 miles to the gallon on the way home and he's astounded," Netz said. Another recent customer is Connie Schmidt from Marquette Michigan, who bought a 1990 Ford Festiva. "It's turquoise blue. It looks like a little roller skate," Schmidt said. If Schmidt's knowledge of current gas prices is any indication, the little Festiva must be doing its job. "I think it's at about $3.69 right now," Schmidt said. "I'm not really sure, I haven't bought gas in over two weeks actually,"
Schmidt said paying less than $1,500 for a car that gets 45 miles to the gallon, made more sense to her than buying a new hybrid vehicle for $20,000 or more. But there are some drawbacks to purchasing a nearly 20 year old car. Brenton Netz explains if you're used to a plush ride, these cars are going to feel a bit rough. "Anytime I would feel like I'm not comfortable, I would tend to make up for it in my mind with the fact that I'm getting 50 miles to the gallon. 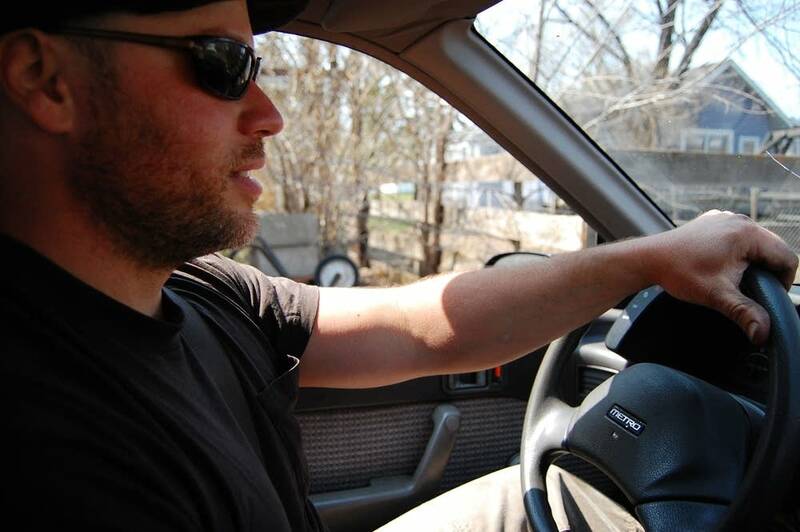 You can put up with a lot when you get 50 miles to the gallon pushing $4 a gallon," Netz said. A Geo Metro or Ford Festiva admittedly isn't going to be as safe in a crash as a two ton SUV. Netz describes the vehicles as motorcycles with windshields and advises drivers to be vigilant. And not everyone likes the way they look. "They're not pretty. So you have to be secure with your identity. Hopefully it doesn't come by the car you drive but by how little you're taking from the environment. In a way you're making a statement by using so little," Netz said. If you are ready to downsize to a Geo Metro or Ford Festiva, you might want to do it soon. Netz predicts when gas hits $4 a gallon, these little cars will be hard to find. Tim Post covers education issues for MPR News.